Things fall apart. It, perhaps, aptly captures the shenanigan and scheming that has pervaded the seat of power in Lagos State. And the war of attrition that will shake the foundation of Lagos State politics in 2011 has started in earnest. It is going to be a straight fight between the state Governor, Mr. Babatunde Raji Fashola, SAN, and his overbearing godfather and predecessor, Bola Ahmed Tinubu, who is spoiling for a war over contract and political patronages. What started as a minor disagreement between the duo over the award of contracts to the companies that Tinubu has substantial interest in or those of his cronies has snowballed into a battle royale. Sources said that while Fashola wanted to follow due process in the award of the contracts, his godfather would not take that “nonsense.” On many occasions, Tinubu reportedly told the governor point blank that he spent billions to install him and that he must recoup the investment. When it became obvious that Fashola was not the “robot” they thought he would be, some of the commissioners who are stooges of Tinubu, started undermining him. It became the norm for them to come to the weekly State Executive Council (SEC) meeting after the governor must have been seated, a trend that runs contrary to the order of protocol. Infuriated by this ugly trend, the governor was said to have locked out the Commissioner for Environment, Muiz Banire, for coming late to one of such meetings without prior notice. When it dawned on Tinubu that his godson had weaned himself from his apron string and may not take nonsense from anybody, sources said, the battle shifted to the state House of Assembly where 35 members were relied upon to checkmate the governor and probably go for his jugular, if need be. But to his traducers' amazement, Fashola's seeming performance appeared to have endeared him to all and sundry. Beside the fact that the law provides that anything the lawmakers deem “gross misconduct” could not be faulted, they were afraid of swimming against the tide by moving against the governor whom they considered sufficiently popular to attract public sympathy. Part of the intrigues, it was gathered, led to the fall of Funmi Tejuoso-Smith from her exalted position as the deputy speaker of the House of Assembly and the reprisal attack from her. Tejuoso-Smith engaged her successor, Bola Badmus Olujobi, in a show of shame within the Assembly complex after the presentation of the 2010 budget by Fashola two weeks ago. Adeyemi Ikuforiji, the unassuming Speaker of the House, had passed comments that were considered out of place concerning Fashola. Ikuforiji warned Fashola to beware of sycophants. Sources said the remarks by the Speaker, who is seen as the “heir apparent or khalifa,” was to spite the governor. Indeed, his comments drew a loud ovation from Tinubu and his men in the assembly chamber. Town hall meeting! What Is Ikuforiji up to? The recent town hall meeting embarked upon by the Lagos State House of Assembly has continued to generate controversy and is already causing disaffection in the state. This stems from the innuendos that the arrowhead of the parley, Ikuforiji, has been accused by a section of the ruling party in the state, the Action Congress (AC), of using the forum to gain more followers and sensitise the people ahead of his governorship ambition in 2011. But before the recent tour, there were insinuations last year when the Speaker put together a micro credit scheme for his supporters in his Epe constituent that he was up to something. The recent town hall meeting, which attracted a large number of the party's stalwarts and Tinubu, was described as a defining moment in the ambition of Ikuforiji to govern the state. He was said to have come off with the impression that the governorship ticket was up for grabs despite the power of incumbency that Fashola has and should enjoy. At the meeting, Tinubu, who was alleged to be grooming Adeyemi in case Fashola reneged on their agreement before he was chosen as the AC candidate in 2007, was infuriated that party supporters were hailing the governor who was not at the forum. Tinubu was quoted to have said that he coined the saying, Eko o ni baje, that has now become Fashola's slogan, threatening to change it if he so desired. He reportedly said these in reaction to the decision of some party members who shouted the slogan in appreciation of Fashola's achievements in the state. That incident, analysts believe, clearly sent out the message that Tinubu, who is seen as the political godfather of the AC in Lagos State politics, may have found a worthy son in Ikuforiji. Besides, there is the other angle to the development in Lagos State. That is the fact that Tinubu has an unwritten political arrangement for Ikuforiji to contest in 2011 as a payback for passing the pension bill that makes the former governor to be on the same pedestal in terms of salary and allowances with the incumbent. Though he is not entitled to security votes, but sources within the party said that the N2.1 billion monthly commission paid to his consulting firm, Alphabeta, is well over the governor's security vote. The import of the town hall meeting was not lost on Fashola who confided in some of his loyalists that his predecessor could not have allowed such under any guise. To show his disdain for the tour, the governor put together a one-day economic summit to feel the pulse of Lagosians. Again, the statement credited to Tinubu last year during the local government election was instructive. At the stakeholders meeting convened to reconcile some aggrieved aspirants, Tinubu told the bewildered crowd of party supporters that Fashola was not a card carrying member of the AC when he made him the governor. The party stalwarts, who were then opposed to the emergence of Demola Doherty as the chairman of Ifako-Ijaiye Local Government Area, were forced to eat the humble pie. Today, Doherty is the chairman. He won without going through the primaries, courtesy of the godfather. This has also heightened tension in the AC that there may be surprises in the offing as the 2011 general election draws near. At last, Tinubu had confirmed the obvious that indeed all is not well between him and Fashola. Although Tinubu had, some months ago, as a preemptive strike, paid Fashola a courtesy visit at the State House in Ikeja where he debunked the rumour making the rounds that some contractual agreement in the state had caused a bad blood between them. He attributed the rumoured crisis to the PDP that he accused of planning to take over the state at all cost. But Tinubu had hardly left the State House when another tsunami swept its first victim, Tejuoso-Smith, like a volcanic eruption. She was removed in a controversial manner. Even Ikuforiji, who was alleged to be close to tears because of the turn of events in the House, which had hitherto enjoyed good working relationship, admitted that his hands were tied. Was it a sheer coincidence that Tejuoso-Smith was impeached the day Tinubu travelled to the United Kingdom to see his children? Informed sources within the Alausa seat of power said the treatment meted to Tejuoso-Smith was meant to send a strong signal to some people that though they may be in power but they are not in charge. This was premised on the fact that despite the alleged overbearing attitude of Tejouso-Smith over the year, her colleagues have chosen to work with her. In fact, when she went with Banire to beat up the Chairman of Mushin Local Government Area, Seye Oladejo, a protégé of Senator Ganiyu Olanrewaju Solomon at the Acme Secretariat of the AC, the House did not sanction her for making it the laughing stock of the public as its principal officer. Before the resignation of Segun Ayobolu last Monday, sources further disclosed that Fashola would soon follow with the sack of some commissioners, especially those considered as Tinubu's loyalists. It was said that this was to send the warning signal that contrary to the insinuation that he was not in charge, he actually holds the ace. To this end, some commissioners last week pledged their loyalty to Fashola and have also promised to stand by him come rain or sunshine. One of the commissioners, a former prominent member of the PDP, who is the head of a ministry that is very dear to the heart of the governor, told those who cared to listen that Tinubu's attempt to continue dominating the politics of the state would fail. More worrisome is the new dimension that Banire is likely to challenge Fashola. The succession plan has caused a running battle between Tinubu and Fashola. While the former governor is supporting Banire, other stakeholders in the state are of the opinion that the sitting governor is doing a good job and that there is no point changing a winning team. Though Samson did not agree that the fans club is a campaign team for the governor, he said it has the governor's blessing. He maintained that it was Aregbesola, the patron of Lovers of Raji Fashola (LORAF), who ordered that the group be disbanded when it was growing in leaps and bound. He said this was to curtail the growing popularity of the governor and make him subservient to their whims and caprices. Samson told the Nigerian Compass that Aregbesola gave them a very tall order. He said, “Imagine Aregbesola told us to announce that LORAF would not be used as campaign group for Fashola in 2011. We smelt a rat and discovered that it may be a booby trap for the governor, hence we agreed that the group should be dissolved.” But he said the group was not relenting in its membership drive, with the slogan, “ if you like Fashola, join us.” As such, many are of the opinion that it may not be long for those who hold the view that the governor was not a politician to know that he would swing the public opinion in his favour when the time comes. He also believes that the over 1,000 members per each council area may be the starting point for what will eventually be known as the campaign group to spring up. Questions are now being asked all over the state: Will Fashola carry out his threat and change his cabinet to assert himself politically? Or will he continue to groan under his overbearing godfather? These are some of the posers begging for answers as at press time. But those who understand the dynamics of power said that since the buck stops on Fashola's table, those who see him as a kid governor may be in for a shocker, at least given the pace at which he has confronted some knotty issues in the state in the last 800 days. There is a crisis of confidence rocking the AC in Lagos State over who will occupy the governor's seat in 2011 and the centre seem not to hold any longer. Fashola, Tinubu and Banire are at the centre of the crisis. Infuriated by Tinubu's effrontery and alleged machination, Fashola, it was gathered, reportedly stormed out of the former governor's Bourdillion residence recently when the defacto AC leader told Fashola that he had not got the power to sack Banire when the issue of the latter's governorship ambition cropped up. The governor was said to have resigned twice in the last six months in anger over how the state is being run by Tinubu and his cronies. Though prevailed upon to continue because of the backlash and the controversy his ouster will generate, many said he had decided to plunge head on into the 2011 battle no matter what it takes. Banire, buoyed by Tinubu's support, was reported to be always late to the SEC meeting, held on Mondays, until recently when he was locked out by Fashola. Pronto, he called Tinubu who put a call through to Fashola to allow Banire in. This did not go down well with Fashola's loyalists who insisted he must be man enough to assert his authority or be prepared to be shown the way out by Banire's group. Fashola, who was reportedly livid with anger, told his godfather that his agreement with him was that he would drop non-performing aides, especially those who were in Tinubu's cabinet for several years. At this juncture, Tinubu was said to have intervened and told Fashola that he could not change his cabinet for now because of the contributions of the appointees to his electoral victory. But Fashola, having seen the handwriting clearly, told Tinubu that he was ready to drop those he considered a spent force in his cabinet. He then stormed out of the former governor's residence. Besides the fact that his godfather has said at different fora that he never attended AC meetings before he emerged governor, Fashola has been kicking because he sees it as an attempt to rubbish him. The grand plan, it was learnt, is to cripple Fashola financially before the 2011 election and enrich Banire to be able to confront him at the AC primaries. Already, Aregbesola, the AC gubernatorial candidate in Osun State, who is still holding the jugular of the state as the unofficial Commissioner for Works; Odumbaku; the boss of the Highway Managers, Alhaji Faud Oki; and other powerful elements in the state have been positioned to ensure that Fashola does not return in 2011. This was reportedly perfected during the last council polls in Lagos State when Aregbesola, who still maintains his Oduduwa Guest House, singlehandedly picked all the chairmen and councillors to the detriment of Fashola. The Chairman of the AC in the state, Henry Ajomale, who is not a part of the shenanigan to oust the governor, is reportedly solidly behind Fashola in this supremacy fight. But the party has not empowered him to be able to muster the financial resources or dispense patronages that will give him the following necessary for the eventual showdown. A privileged source who craved anonymity told the Nigerian Compass that the time has come for Tinubu to be exposed and reduced to size. The governor, who is aware that his predecessor might have decided to fight dirty, is also reaching out to some stakeholders in the state across political party divides to take on Tinubu headlong. As part of his strategy, Fashola, apart from planning a cabinet reshuffle soon, is also considering how to stop the N2.1 billion monthly consultancy fee being paid to Tinubu's Alpha Betta. By the end of Fashola's tenure, the amount that would have gone to the company would be in the region of N52 billion. Fashola was said to have complained to one of his aides recently that the money that had accrued to his godfather monthly through various contract sum was outrageous. He was particularly piqued with Alpha Betta and has reportedly stopped the N2.1 billion monthly consultancy fee in the last few months, insisting that the state government has to renegotiate the contract sum. Fashola had tacitly refused to advertise all the programmes being handled by Tinubu as part of his achievements so that if eventually it backfires he would wash his hands off it. His worry stems from the fact that he may not be able to defend some of the contracts being executed across the state by Tinubu's construction company, Hitech, and some concessionaires, including the Lagos Concession Company (LCC), with the contract sum shrouded in secrecy. For instance, the Managing Director of LCC, Opuiyo Oforiokuma, said that the 49.4 km road from Lekki to Epe would cost the concessionaire N50 billion. That means N1 billion per kilometre. Yet, the company would operate on the road on Build Operate and Transfer (BOT) for 30 years. The contract was signed in 2006 by the Tinubu administration. Another sore point is that LCC is erecting a toll plaza on the road already and will start collecting toll even before it completes the project. That is beside the fact that two more plazas would also be erected to make it three. The money spinning project is expected to give Tinubu hundred of millions every month. Though the President of Eti-Osa Heritage, Adewale Sanni, has vowed that over his dead body would Tinubu's company start collecting tolls before the completion of work, the former governor appears unperturbed. At a recent stakeholders meeting in Eti-Osa by the state government to mediate in the face-off with the company, Sanni said the people of the community would rather die than watch the state suffer from the concession arrangement. The community decried the insensitivity of the state government to its plight, saying it was ripped off and was not carried along before the idea was imposed on them. In the ensuing melee, the Lagos State Commissioner for Physical Planning, Francisco Abosede, was almost lynched. As a prelude to the final onslaught, Tinubu has threatened to remove Fashola's pals who are council chairmen. This is as Fashola has also beamed his own searchlight on a council chairman who is loyal to Tinubu and seen as the arrowhead of the council chairmen warming up to stop Fashola in 2011. The die is cast and the fight may linger as Fashola has said that it is service delivery to the people first as opposed to his godfather's position that funds be shared to the detriment of the masses. Unfortunately for Tinubu, he has other forces to contend with. Some powerful stakeholders in the state are eagerly waiting to take their own pound of flesh from him. They have been described as very powerful elders. Many reasons have been adduced for Fashola's decision to stamp his authority. The lekki/Epe Expressway has become a sore point in their relationship because Fashola does not like the idea of the 30 years concessioning to LCC. The Alpha Beta Consulting is also another drain pipe, which sources said bothers Fashola. The 10-lane Mile 2/Badagry Expressway that was awarded to construction giant, Julius Berger, by the Fashola administration reportedly made Tinubu livid. Tinubu wanted Hitech to handle the job. Sources said that when Tinubu confronted Fashola on the failure to award the contract to his company, the governor reportedly told him that the Lekki/Epe Expressway that the LCC in conjunction with Hitech is handling has become an albatross for the state government. Fashola, who said that people were complaining about the fact that most projects in the state have gone only in one direction, said there was the need to “democratise” even contract awards. Tinubu reportedly said that Fashola had betrayed the trust he reposed in him. 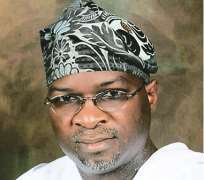 Yomi Edu's treatment for Fashola? The group is also considering fielding a popular candidate in the mould of Jimi Agbaje in 2011. Unknown to many, Agbaje, who contested on the platform of the Democratic Peoples Alliance (DPA) in the 2007 elections, has one leg in the AC and the other in the DPA. By virtue of his position as the state chairman of Tinubu-propped Afenifere Renewal Group (ARG), a breakaway faction from Afenifere, Agbaje has been meeting secretly with the Tinubu group over the possibility of fielding him. The plot is that in case Ikuforiji and Banire become hard to sell, he would be propelled to run on the platform of the DPA. This, sources said, would be to create the impression that Lagosians truly do not want Fashola to continue in office. The scenario would look like the Yomi Edu/Michael Otedola election in 1991. The defunct Social Democratic Party (SDP), which was the dominant party in Lagos State then, fielded Edu. But because the Alhaji Lateef Jakande group, The Loyalists, did not want Edu, it struck a deal with Otedola, the National Republican Convention (NRC) candidate. For the other positions at the state level, the SDP won. It thus paved the way for a new vista in Lagos State politics, with the SDP in control of the House of Assembly and the NRC the governorship. This was preceded by a bitter governorship primaries between Femi Agbalajobi and Dapo Sarunmi, two prominent leaders of the party, a development that factionalised the party. Will Agbaje be AC's consensus candidate? It has remained a conjecture because nothing is impossible in politics. Before his resignation last Monday as Special Adviser on Information and Strategy to Fashola, Segun Ayobolu was one of the members of the inner caucus of Tinubu's media team. Unknown to many, Ayobolu's resignation was part of the media war being planned against Fashola. At a news conference to announce his resignation, Ayobolu, a die hard loyalist of Tinubu, said he had to leave because of ill health. But sources within Alausa said he resigned in protest because of the disdain with which Fashola now holds Tinubu's loyalists, especially during the weekly SEC meeting. The argument was that Ayobolu, a workaholic, could not have resigned on such flimsy ground. It was learnt that during one of the SEC meetings, Fashola chatised those who usually thronged Tinubu's Ikoyi residence to report developments in Alausa to him or risk being sacked. Ayobolu, who could not take this anymore, confided in some people that he prefered to be sweeping the floor in Tinubu's residence than pander to Fashola, who has dared his benefactor. Ayobolu's case is similar to that of the former Commissioner for Finance, Wale Edun, who resigned because of the manner Tinubu was handling the finances of the state. But Dele Alake, Tinubu's spokesman then, prevailed on Edun to recant. The following morning, Edun, who claimed to be ill, was found playing polo at the Awolowo Road playing ground. A privileged source in Alausa said it has become a norm for Alausa politicians to resign on health grounds. Fashola seems to be watching the macabre dance with admiration. Last week, the governor finally replied his godfather tacitly when he said that he did not sign any agreement of a single term with anybody. Although, he has said repeatedly that his work would qualify him for a second term, Fashola is said to be poised to take the initiative and assert himself politically.